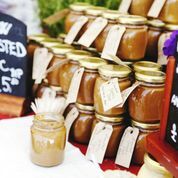 The Foodies Festival is back at Tatton Park for it's 3rd year on the 17th to the 19th May and I have been given the opportunity to giveaway 2 pairs of day tickets via Rafflecopter. 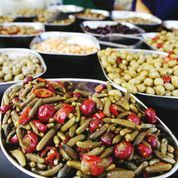 The UK’s largest celebration of food and drink will see visitors flock from the surrounding area to feast on the vast array of culinary activities for the third consecutive year at Tatton Park. 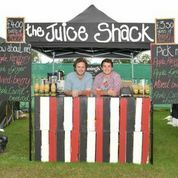 Foodies Festivals also take place at Brighton, Hampton Court Palace, Clapham Common London, Bristol, Edinburgh, Battersea Park London and Oxford. Top chefs will cook their signature dishes live in the Chefs’ Theatre compered by Blue Peter and Celebrity Masterchef star Zoe Salmon, and explain how amateur cooks can prepare the same dishes at home. There are Drinks and Cocktails Theatres, an extensive Producers' Market, Street Food Avenue, Childrens' Cookery Theatre, a City Beach and an Entertainment Stage. 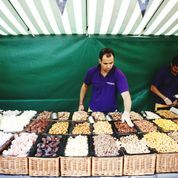 With the new additions, as well as the usual attractions the Foodie Festival seems like it will be a terrific day out. 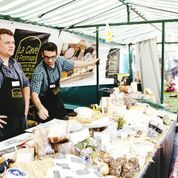 Foodies Festivals tickets are now available from www.foodiesfestival.com or by calling 0844 995 1111. Ticket Prices: 1-day adult ticket £12.00 (£10.00 concession) 3-day adult ticket £18.00 (£15.00 concession) 1-day VIP ticket £38.00 There is a charge of £5 per car to enter Tatton Park. VIP tickets include a free glass of champagne on arrival, access to the VIP tent throughout the day, a taster meal from one of the pop-up restaurant tents, a goody bag and reserved seating in theatre and masterclass sessions, as well as a private bar with great views of entertainment stage. Accompanied children aged under 12 are admitted free of charge.You can use the code below to buy discounted tickets or I have two pairs of tickets to give away. To enter, please complete the Rafflecopter. Cinnamon - Christmas in a jar!